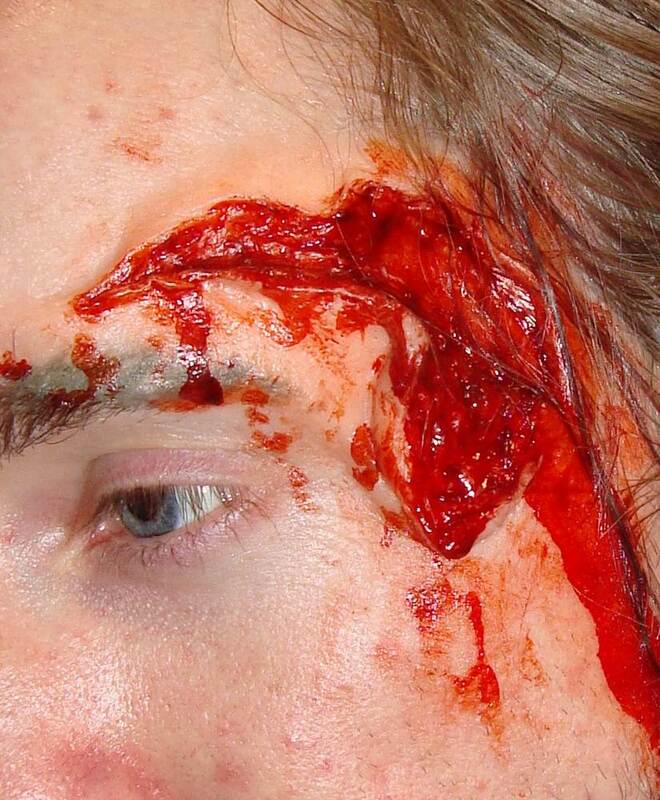 3D FX Tattoos, the next step in modern day makeup! We tested these out and they are amazing! We've used regular latex appliances before and often the biggest issue is blending the edges. Well, the edges on these 3D FX tattoos are pretty much non-existent! You apply the 3D tattoo in about 30 seconds with water - there's no need for any adhesives and they look absolutely real. They don't fall off (and will stay on for days even with washing!) and they're latex free. Simply add your own blood or makeup to complete the look. 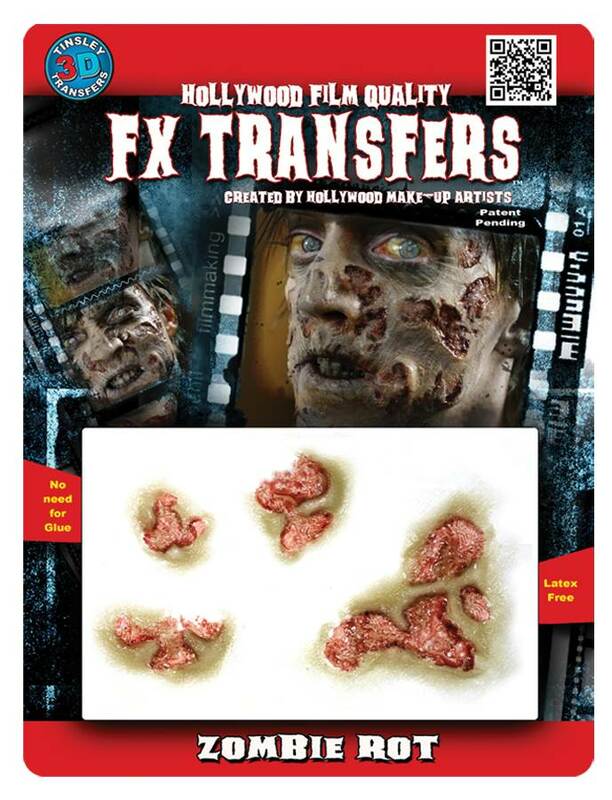 The additional photo shown may not be of this particular appliance, but it was taken in person of an actual 3D FX tattoo applied at the company's tradeshow booth. We were thoroughly impressed with how realistic it looks!